Charles River Bank donated $825 to the Friends of the Mendon Taft Public Library. CRB President & CEO Jack Hamilton presented the check to Library Director Andrew Jenrich and Gabrielle Porchello, Chair of Friends of Taft Library, as well as other members of the “Friends” Board of Directors. The donation was a result of one of Charles River Bank’s 100th Anniversary Celebration programs, where the bank hung 100 wind chimes throughout the towns where its branches are located – Medway, Bellingham, and Mendon. The wind chimes were a free 100th Anniversary commemorative gift for each person who found one. The “Finders” were asked to post a picture and list the location of where their 100th Anniversary wind chime was found and submit the information via CRB’s Facebook page or by e-mail. A donation of $25 per wind chime was made to each town’s library. In Mendon, 33 wind chimes were placed both inside local businesses and outside in public areas. Charles River Bank is pleased to support the valuable programs offered through the Taft Public Library in this special Centennial Celebration community program. 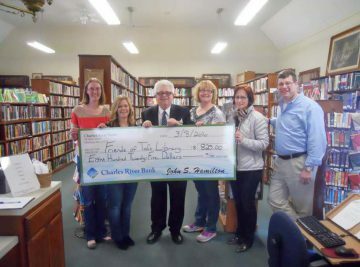 Charles River Bank has also supported the library’s transition to their new location at 29 North Avenue, Mendon, MA with a $2,500 donation in 2015. Until the construction of the new facility is complete The Mendon Public Taft Library is located at 18 Main Street Mendon, MA. earning less than 80 percent of the area median income. As an approved participant in the Equity Builder Program (EBP), Charles River Bank may submit enrollment requests for funding on behalf of income-eligible home buyers. The grant funds are awarded to participating members in increments of up to $15,000 on a first come first serve basis. EBP funds are not guaranteed or reserved in advance for any participating member or home buyer. Owning a home for many people today is becoming increasingly difficult in today’s economy. This EBP program that Charles River Bank is offering will ease some of the stress of first time home buyers and will give them the funds needed to get them into their first home. The Bank is also an approved Mass Housing Lender, offering extremely low down payments, and an MI-Plus program that pays your mortgage in case of job loss. 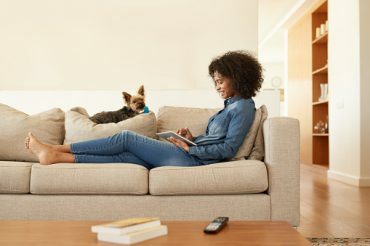 “When an Equity Builder Program grant is used for down payment or closing costs in conjunction with a MassHousing mortgage loan program, the benefits to the first-time homebuyer are enhanced exponentially. We are one of only a few banks that are approved to participate in both programs, and our customers can reap the benefits of this,” stated Jack Hamilton, President & CEO of Charles River Bank. For more information or to see if you qualify for the Federal Home Loan Equity Builder Program, talk to a member of the Charles River Bank mortgage lending team today. Contact Mortgage Consultants, Mickee Whitney (NMLS#782138) at 508-321-3142 or Jen Benoit (NMLS#1185923) at 508-321-3141.
their state leadership team, get market updates, and learn about pending legislation at the state and national level that affects the housing industry. Charles River Bank President & CEO Jack Hamilton welcomed guests and discussed new TRID (Truth in lending/Real estate settlement procedures Integrated Disclosure) regulations that now impact the home mortgage application, underwriting and closing process. 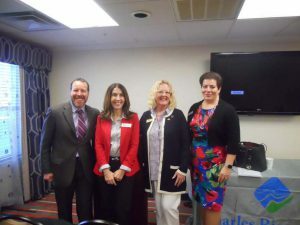 CRB Senior Vice President of Retail Lending Cheryl Beauvais gave the Realtors insight on new products and services that Charles River Bank offers. CRB participates in the Federal Home Loan Bank of Boston’s Equity Builder Program (EBP). The program provides income qualified homebuyers with grant assistance up to $15,000 for down payment and closing costs. Ms. Beauvais also discussed the “Mass Save Heat Loan Program,” which provides customers the opportunity to apply for an interest free loan to assist with the installation of qualified energy-efficient improvements in their homes or rental properties. Goretti Joaquim discussed a few of MassHousing’s innovative lending programs featuring 3% down payments and MI-Plus that continues to make mortgage payments after a job loss. 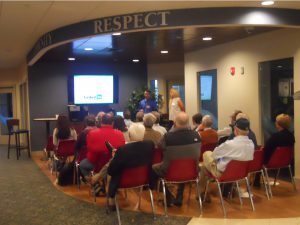 She then let the Realtors know about a newly introduced MassHousing program, “Operation Welcome Home,” which is available to active duty military, Veterans who served honorably, members of the Reserves and National Guard, and Gold Star family members to help achieve the dream of homeownership. All of these MassHousing lending programs are offered through Charles River Bank’s Mortgage Consultants Mickee Whitney and Jen Fasolino Benoit. Featured speaker Annie Blatz reviewed 2016 vs. 2015 Mass home sales data and expected trends for the coming spring season. She showed realtor survey results on topics affecting the industry and discussed current legislation being considered on Beacon Hill and Capitol Hill. There were also questions raised by the Realtors in attendance about the increased use of solar panels on homes and how this affects the selling process. The MAR breakfast was informative and will help the realtors successfully adapt to new trends in the housing market.